The Anglo-French hounds are not very popular in countries besides France, but they do have a series of excellent characteristics as hunting dogs such as talent and a pleasure for pleasing. One of these Anglo-French hound breeds is the Large Orange & White, a dog that is very trainable and smart, which are, in fact, the characteristics present at most such hunting breeds. Versatile hunters, they are perfectly adjusted to the French hunting style, having no reserve in taking to water. Their stamina, strong mouth, speed, full cry and an excellent sense of smell, they have been successful companions for hunters for a long period of time. Athletic dogs and very energetic, these dogs seem sometimes to enjoy hunting even more than the human hunters themselves. As adults, the Large Orange & White hounds can reach weights up to 35 kilos and heights of up to 70 centimeters. Their rather short and smooth coats are usually white and bearing some lemon or orange patches. The same colors apply also at the skin level. The heads of these dogs are broad and pretty flat with some subtle eyebrows arches which frame a pair of dark brown eyes. A square of a muzzle and rather large and well defined ears come to complete the big picture of this hound’s head. An exquisite athlete, the Large Orange & White Anglo-French hound has a narrow and deep chest with well-sprung ribs which, along with the rest of the muscular, strong body ensure the good physical performances of this hunting dog. Both the hind and the forelegs end in pads resembling the ones of a fox. Despite its relative lack of popularity outside France, in this country this breed reaches almost 75 percent of all the hunting dog breeds. This popularity is due to their talent, intelligence and stamina and can be found in different sizes and color pattern. 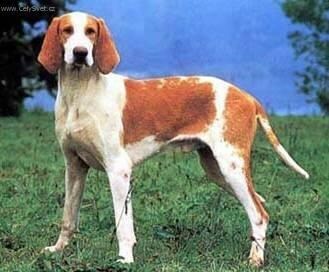 At the roots of this breed there are the French breeds Tricolores and the Poitevins on the one hand and English Fox Hounds on the other. Mixing breeds is carried on nowadays as well, in the attempt of improving health and other physical parameters like stamina. The original name for this breed is Grand Anglo-Francais Blanc-et-Orange and the Hunting Society has it marked in their records. The care required by the Large Orange & White hounds is pretty much the same as for the English Fox Hound. The French techniques of hunting are the ones suiting this dog best. In competitions and shows there are some elements which will be considered faults of this breed, such as orange markings that are more like reddish, abnormal or undescended testicles, imperfect bite (over- or under-bite), altered shapes of the muzzle or nose or a tail that is not kept centered. There is a saying that should be carefully considered when it comes to the breeding techniques of the Large orange & White Anglo-French hounds, which states that ‘infusion doesn’t mean profusion’. 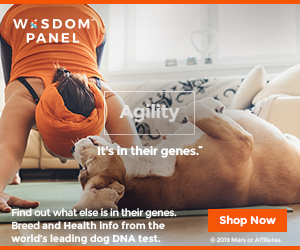 This highlights the fact that mixing genes is accepted and even recommended sometimes for breed improvement, but it shouldn’t be taken to the point where the character of this dog is even partially lost.